There’s a bizarre phenomenon in the fitness and dieting world called rapid results. The ultimate 30-day, 60-day, or 90-day transformation that everyone expects when they sign up for a new gym or workout program. … well, they get their money back. These places are popping up everywhere. The whole premise is that clients will see the best results if they are nutrition compliant. Their workouts aren’t based on understanding human movement and helping clients move right for their bodies. It’s more about cheering people on and encouraging them. I’ve known a lot of people who’ve walked through those doors looking for transformation. A lot of them get what they want. Rapid ‘results’ in weight loss are pretty basic. Eat from a restricted food list in a steep caloric deficit, track everything and show your progress, and do grueling workouts a few times a week that may or may not injure you. Yep, you’ll lose the weight. But what exactly was the transformation? A lower number on the scale? How long does that last? Not long at all. Everyone I’ve met who has gone through this program bounced right back to where they started. Not because they didn’t put in the effort. They worked hard. Showed up. Were compliant. What does compliance teach us about behavior? As humans we tend to bend and break the rules quiet frequently, simply because we don’t all fit into a perfect mold. It’s only natural. If you’re compliant on a plan, where does the modification of human behavior occur? That’s the thing about fitness no one is talking about. It’s not about following a program or plan, or nutritional compliance. It’s about changing who you are, which is a damn hard thing to do. You have built-in belief systems about yourself, and you show up into the world with a set of guidelines based on these belief systems. 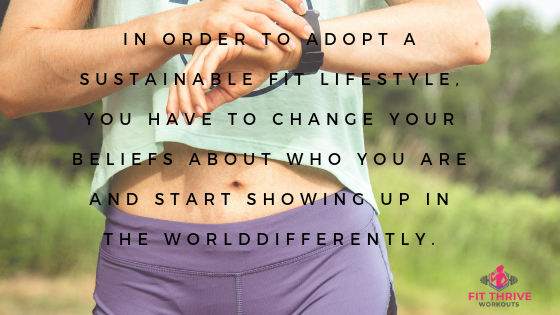 In order to adopt a sustainable fit lifestyle, you have to change your beliefs about who you are and start showing up differently in the world. No amount of cheerleading and food-log checking will change you into someone else. All things worth doing take time. Period. 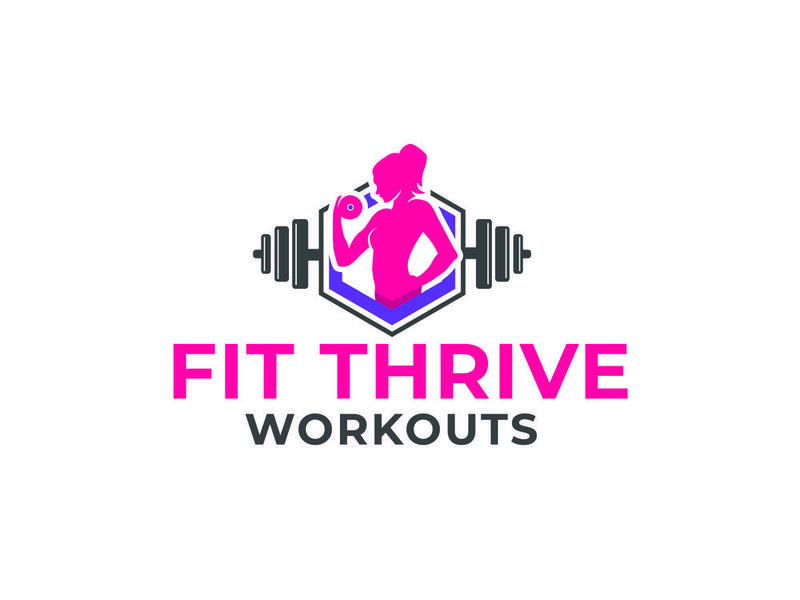 Changing who you are so that you can be a fitter, healthier version of you doesn’t happen in a vacuum in some rapid fat loss clinic, or with a slew of supplements washed down with willpower. It doesn’t happen with the diet and fitness books you buy, the YouTube channels you subscribe to, or the next fitness/diet fad. It happens with consistency. It happens when you work to rewrite your story every single day year after year. This isn’t limited to building a strong, lean, and healthy body. Everything you do in life is based on a series of beliefs that you’ve built a story around. That’s why certain people end up in one bad relationship after the next. They aren’t cursed. They have a belief that attracts a certain type of charming, unscrupulous character. That’s why certain people are prone to addiction, money struggles, or seem to pick up every germy sickness known to man. 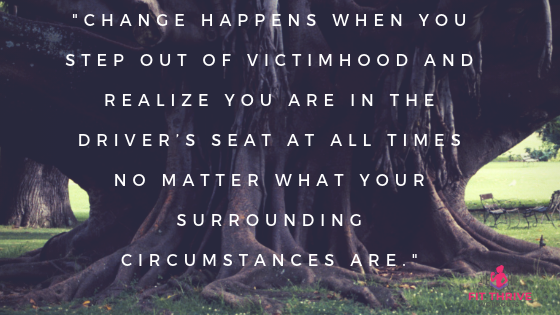 Change happens when you step out of victimhood and realize you are in the driver’s seat at all times no matter what your surrounding circumstances are. When you let go of the story, “I just have bad luck,” or “I’ve always been this way,” or “Nothing ever goes right for me,”, and step into the story you want to live right now. It’s nearing the end of the year. In January 2018, did you set a fitness goal for yourself? If you look back at the past 12 months of your life, can you say you did everything you could to reach that goal? Or did you hold onto that story in your life that tells you it’s not possible. That you’re not the person you were striving to become. You will never lose weight. Have more muscle. Run a marathon. Deadlift your bodyweight. Because you’re not a morning person. You lack motivation. You are too busy. Too tired. Too defeated. Too scared. Too broken. Let me ask you this. If not now, when? When will you decide it’s the right time to change who you are so you can step into your fittest, happiest body? 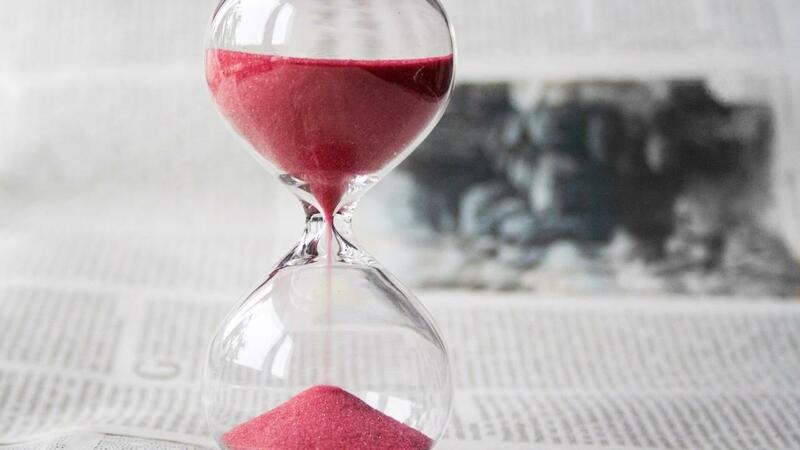 Time isn’t a renewable resource. You don’t get back the years wasted hoping for change. You have to live right now in this moment as the person you want to become. You have to stop thinking and talking about what you want to do, and take action. You have to continually evolve, adapt, and reach for something greater than yourself. Because this journey isn’t just about the way your body looks in your clothes (or without clothes). How selfish of you to think that? It’s about being able to care for yourself as you age. To get out of bed in the morning, climb in and out of the bathtub, play with your grandkids and great grandkids. It’s about creating a future for yourself that is enjoyable, fulfilling, and independent of the need for constant care, medical intervention, and worry about your health. No one in these weight loss clinics, rapid results centers, or kooky fad diet/fitness books will ever tell you that. But it’s the conversation we all need to have. I don’t know about you, but I’m ready to have it.